This brackets is for mounting on lugs/lugs. 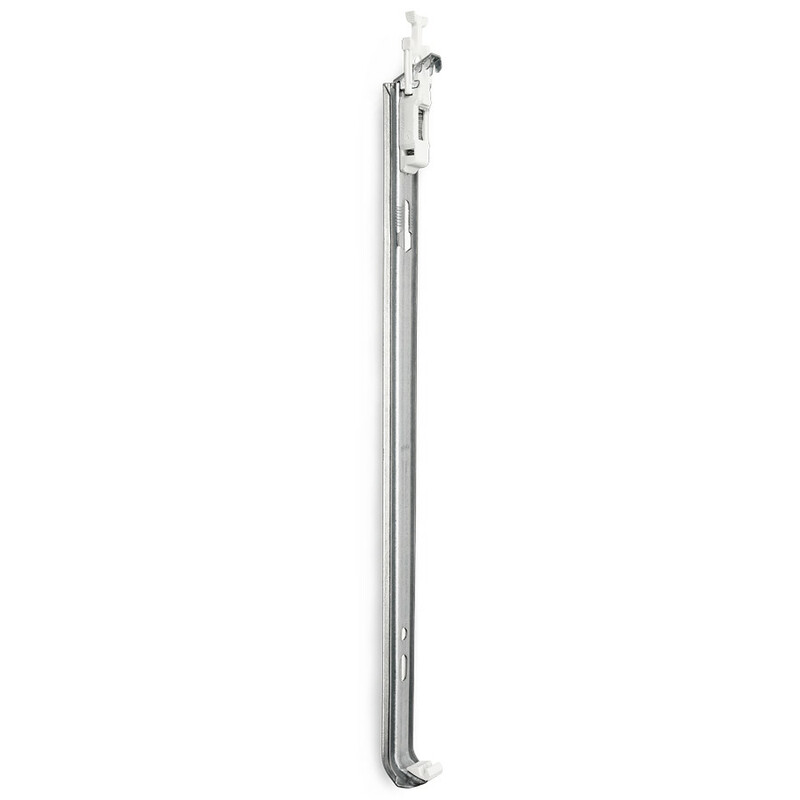 The bracket upper part is put onto the rail in one simple operation, which makes it possible to deliver the rail and the upper part seperate. It is also easy to put the bracket into the radiator package from the manufactorer. Integrated spring and locking mechanism. The bracket top part is made from galvanised sheet steel 1.25 mm in combination with fibreglass reinforced plastic. 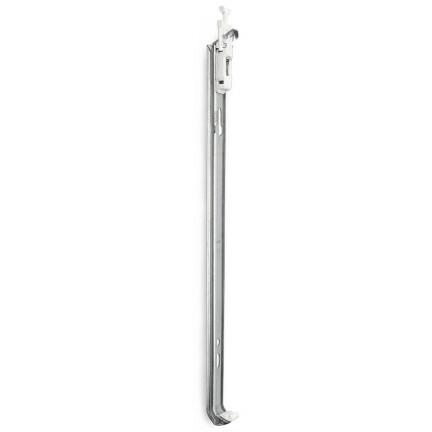 The bracket rail is made from galvanised sheet steel 1.5 mm. There is a plastic inlay in the bracket foot.